Ukraine increased exports of semi-finished carbon steel in physical terms by 14.9%, to 3.509 million tonnes in January-June 2018 year-on-year. 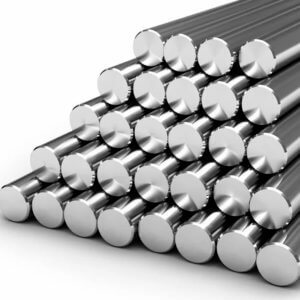 Ukraine’s State Fiscal Service said in a customs statistics report that exports of semi-finished carbon steel in monetary terms grew by 45.1%, to $1.573 billion. The bulk of semi-finished carbon steel was exported to Italy (34.84% of total exports in monetary terms), Turkey (18.27%), and Egypt (14.08%). During the first six months of the year Ukraine imported 22,588 tonnes of semi-finished carbon steel, which is 73% up year-on-year. Imports in monetary terms grew by 76.2%, to $13.648 million. Semi-finished carbon steel imports originated from Russia (96.07%), Kazakhstan (2.78%) and the United States (0.96%). In 2017 Ukraine cut semi-finished carbon steel exports in physical terms by 18.8% from 2016, to 6.292 million tonnes, while exports in monetary terms increased by 14.9%, to $2.542 billion. Italy accounted for 30.61% of exports in monetary terms, while the share of Turkey was 17.02% and that of Egypt – 16.28%. Semi-finished carbon steel imports in 2017 totaled 22,038 tonnes, which was 20.1% up from 2016. Imports in monetary terms grew by 85.4%, to $12.091 million. Most of semi-finished carbon steel was imported from Russia (95.48% of total imports), Kazakhstan (4.03%), and Bulgaria (0.25%).